Following a teaser from the automaker yesterday, Kawasaki launched the Versys X-300 in India today. With the increasing demand for the SUVs of two-wheelers a.k.a. adventure tourers, Kawasaki took an opportunity to increase its portfolio in the segment with the launch of the new Kawasaki Versys X-300. The automaker wants to focus on delivering maximum products from its portfolio in India but most of the products to be assembled in India so as to keep the price in check. 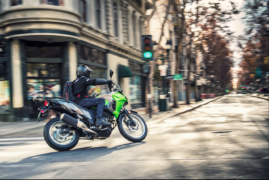 The bike maker will be bringing in the Kawasaki Versys X-300 via the CKD route but when compared to the other markets like the US (3.66 lakh for non-ABS) and (3.86 lakh for ABS), the pricing for India, at Rs 4.3 lakh, does look a little steep. 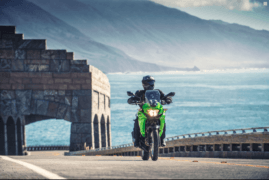 The new Kawasaki Versys X-300 features an edited version of the Z300 tubular frame chassis housing the exact same engine. The bike derives its power from a 296cc, four-stroke, DOHC, liquid-cooled, parallel-twin engine producing a maximum power of 40 PS at 11,500 rpm and 25.7 Nm of torque at 10,000 rpm. While these might seem reasonable numbers but the company failed to tune the engine for its intended purpose. The engine is mated to a 6-speed gearbox coupled with a wet clutch. 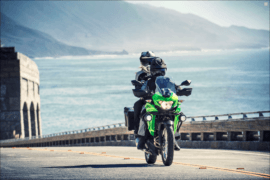 If compared to its elder sibling, the Versys 650, the tuning is exactly the opposite(the right way) with the maximum torque being delivered in low to mid range. We can further comment on this once we’ve tested the Versys X-300 out. The bike gets 41mm telescopic forks in the front with a travel of 130mm while the rear features a bottom linked, gas-charged shock absorber with adjustable preload and a travel of 148mm. Keeping the bike in contact with the tarmac are tube-type spoked wheels featuring 100/90-19 in the front and 130/80-17 in the rear. Stopping power comes from petal discs at both ends with the 290mm front disc featuring single balanced actuation dual-piston and a 220mm petal disc with dual-piston at the rear. The Kawasaki Versys X-300 gets Fuel Injection as standard and is BS-IV ready. Aiding the rider, the new Versys X-300 gets an assist and slipper clutch which is considerably lighter to use than the standard clutch. Another major plus point for the new bike is its specially designed fairing aiding airflow to specific areas for better heat management. The overall dimensions of the bike are 2,170mm, 940mm and 1,390mm for length, width and height respectively. The wheelbase extends to 1,450mm while the seat height stands at 815mm. 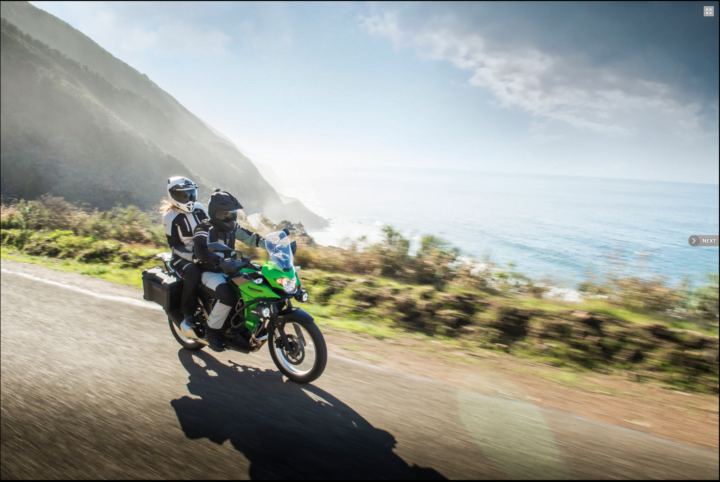 The Kawasaki Versys X-300 stands 180mm above the ground and holds a kerb weight of 184 kg. With a tank featuring 17-litres of fuel capacity, you can achieve an average range of about 350kms.